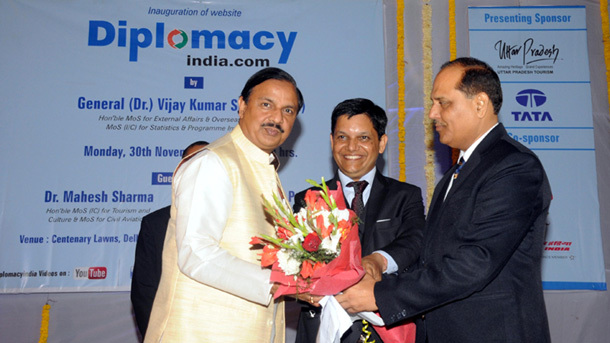 Gaborone, Nov 1 (IANS) Indian Vice President M. Venkaiah has said that India and Botswana were amongst the fastest growing economies in the world, with growth rates of over 7 per cent a year, adding that their bilateral trade had increased by an impressive 27 per cent over the period of one year. He was accompanied by his Botswanian counterpart Slumber Tsogwane and Botswana’s Minister of Investment, Trade and Industry Bogolo J. Kenewendo, who, at 31years, is the youngest woman member of Botswana’s Parliament and also the youngest member of the Botswana cabinet. “We are quite impressed by Botswana’s political stability and its consistent status of being the fastest growing economy in Africa. We have about 25 Indian companies present at this forum to look at investment opportunities, the largest-ever delegation from India to Botswana,” Naidu told the gathering. “India and Botswana already collaborate in terms of security, defence, trade, business, health and the bilateral trade has grown to $1.75 billion in 2017-18 – an impressive growth of 27 percent over the previous year,” Naidu added. 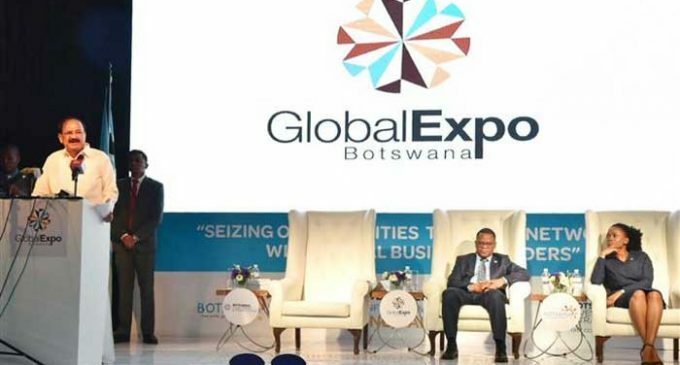 “Lots of Indian diaspora have been based in Botswana since its independence and they contribute to employment generation and to the local economy,” Naidu added. Representing 40 per cent of Botswana’s GDP and 70 per cent of its exports, diamonds remain the principal sector of collaboration between India and Botswana. “We want the Indian companies to invest in Botswana and set up their units for polishing, cutting and innovative processing of diamonds in here. This will be the best way to forge a long, stable and a win-win relationship,” Minister Kenewendo, told this correspondent. “I came in 1988 from Chennai. I was hired as a teacher and soon after I started a business in the manufacturing sector. In the span of 30 years, a lot of investors have come in the country and it has modernised tremendously. We are mainly into imports but since it is a landlocked we rely on countries like South Africa and Namibia where there are seaports,” said Rajamanickam Baskar, Director of Madura Enterprises that is in the FMCG and healthcare sector. “The growth rate of Botswana is just like in india; I never faced any corruption issues. Also money is safe; banking is strong and a number of Indian banks like SBI, BOI and Bank of Baroda are also present here. What we need though is to develop logistics but everything is to be done and this is what makes it exciting for investors from India,” he explained. “We are probably the largest manufacturing company in private sector in Botswana. We manufacture pipes and tanks and fittings used in water projects, sanitation and agriculture. We need easier ways to receive work permits and resident permit for staff from India. Government is quite flexible but we hope that with the stronger links between the two countries and the official visit of Venkaiah Naidu, doing business will be even easier,” Naik said.